Lucianna lives with her grandmother. 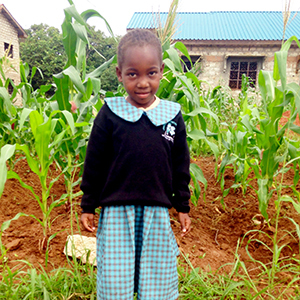 Luciana likes learning and wants to be a teacher when she grows up. Rice is her favorite food. If she could be any animal, she would like to be a giraffe.